Arlington, Va., October 5, 2017 – This holiday season, PBS KIDS continues its multi-year partnership with Whole Foods Market with a variety of toys, including a new line of sustainable, educational wooden toys for children. Part of a new licensing partnership between PBS KIDS and Maxim Enterprise, Inc., the new collection of PBS KIDS EverEarth products spans multiple product categories for both indoor and outdoor play, encouraging families to explore and learn together. Additionally, PBS KIDS will premier eight new plush animals, made by Aurora, available exclusively at Whole Foods Market this holiday season. One hundred percent of the net proceeds from the sale of all PBS KIDS toys at Whole Foods Market will support PBS KIDS’ mission to help all children, especially those who need it most. Whole Foods Market will also donate one percent of total sales to Whole Kids Foundation®, an organization dedicated to improving wellness and nutrition across the country. The new PBS KIDS toy line includes stackers, blocks, wooden vehicles, pull-along animals, musical instruments and more. Each toy is manufactured sustainably with FSC®-certified wood and organic cotton, and embellished with water-based paint. As part of the product line’s commitment to sustainability, PBS KIDS and Maxim Enterprise, Inc. are also introducing the PBS KIDS EverEarth Plant-A-Tree Initiative. 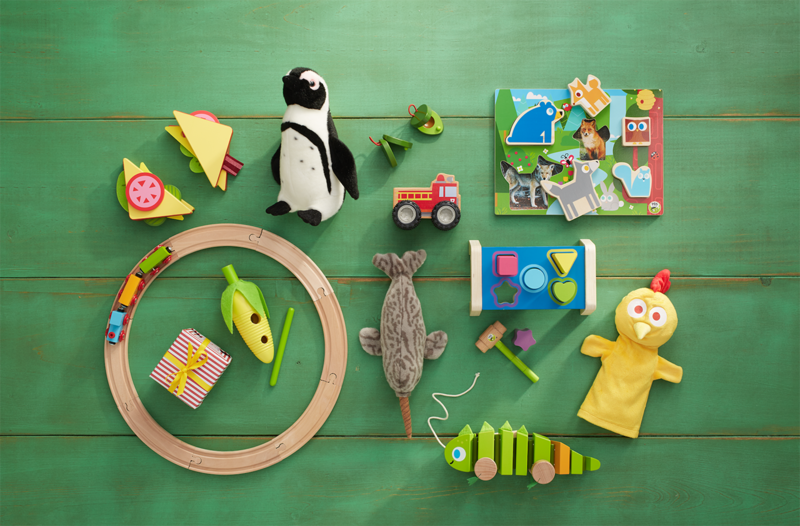 For each toy purchased, a tree will be planted in a first-of-its-kind FSC certified forest created by EverEarth. Families will be able to register each toy purchased from the line to have a tree planted on their behalf and receive an official certificate. More information is available at pbskids.org/plantatree. The PBS KIDS EverEarth product line will launch with more than 30 SKUs at Whole Foods Market in November, just in time for the 2017 holiday season. The toys will be available at other retail outlets nationwide beginning in 2018. The PBS KIDS Aurora line of plush toys will debut in November exclusively at Whole Foods and will feature a new lineup of animals, including a narwhal, flamingo and black jaguar. The toys feature fun, kid-friendly facts about each animal, connecting children with the diversity of wildlife.